Amanda here with this week's challenge. I am sure you all have brads at home - I seem to have a ton! I generally use them as centres of my flowers but rarely use them for anything else lately. For this project I found some fun shaped brads that coordinated with my papers and "sprinkled" them throughout the layout of my son and I. True enough I quite a fair bit in my stash too! And I rarely use them. 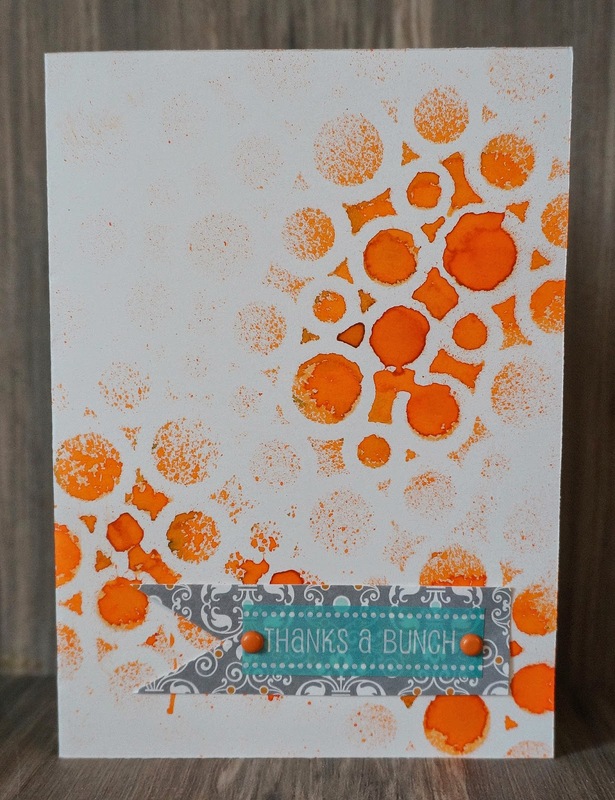 Here are 2 on my card to go along with the orangy background! She created this great layout for our brad challenge. Be sure to click on her name to be taken to her blog and check out her wonderful projects. Brads are one of those things that I almost never use. Seems like if I want something round, I always grab an enamel dot. Glad to use up a bit more from my stash. This week we are also celebrating our 3rd Blogversary! For the last three years we have tried to inspire you and challenge you to use up all your scrapping supplies and create some wonderful memories and projects and to share those with us so that we can experience them with you. Thank you to all of our wonderful followers and participants who play along with us each week and motive and impress us with your creations. Everyone that plays along with us this week will be entered in to win a prize that is being sponsored by our own DT member Tammy. International participants are always welcome so show us what you can do with this week's challenge! I just found your challenge and am excited! I have sooooo much stuff to use! LOL I'll be back! Wonderful inspiration from the DT!! Yay! More brads out of my stash now! Hehehe!